Tina W. Rodriguez - Ward and Smith, P.A. Tina joined Ward and Smith, P.A. as an estate administration paralegal in 2018. She worked as a trusts and estates paralegal at law firms in Carteret County for over 25 years and has vast knowledge and experience in trusts and estates accounting and probate of decedents' estates as well as estate planning and guardianships. 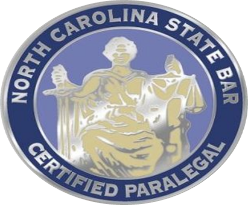 Tina is a North Carolina State Bar Certified Paralegal.